Want to learn about Kenley’s natural features and the types of plants and animals that inhabit here? 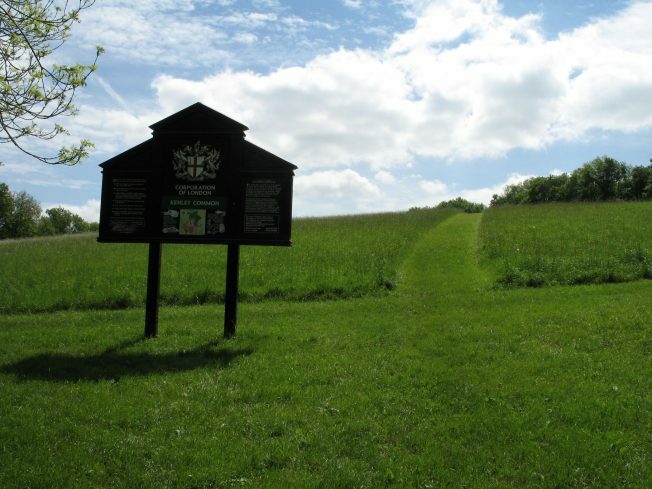 Come and meet our ranger team and find out how they manage the City Commons from keeping livestock, conserving the chalk grasslands to even monitoring bats! Have a go at sitting in our tractor, try out our new self-guided walks and meet our friendly conservation volunteers to find out more about your local Open Spaces and how you can get involved. Fancy a dizzying adventure and challenging yourself to new heights? 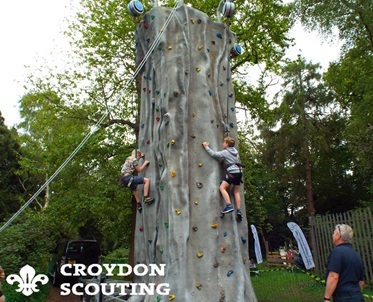 Have a go of the climbing wall provided by Croydon Scouting and it will definitely be worthwhile as you feel the sense of achievement when you make the effort to reach the top of one of the four different routes and announce your success by sounding the horn. If you or your children want to climb then come and see us and give it a go, just make sure you are in suitable footwear (trainers etc.) and trousers or shorts preferably if you can and don’t forget your donation of £1 for 2 climbs!! Want to know more about Croydon Scouting? Chat to the friendly team about how you can join. Join the Girlguides and try your hand at making your own bird feeder to take home. Learn more about the local species of birds and how you can attract them to your garden using your very own hand made bird feeder. Want to know more about Girlguiding Croydon County? Chat to the friendly team about how you can join. For a delicious coffee, tea or soft drink suitable for all the family try out The Mobile coffee bean who will be on hand in their lovely custom Piaggio Ape mobile coffee cart run by professional Baristas – yummy!